An important ESA tribunal service decision to note acheived by someone far cleverer than me. "I have just won at the First Tier Tribunal in Norwich on the 15th March 2012 with regards a decision about ESA that may have consequences on a national level. I argued that applicants who have not had an ATOS medical assessment within the 13 week assessment period are entitled to the work related activity component (“WRAC”) from the end of week 13 up until a Decision Maker finally finds the applicant fit for work (if this being the case) as a result of finally attending an ATOS medical. The conditions for payment of the WRAC are in Section 4(5) of the Welfare Reform Act 2007. 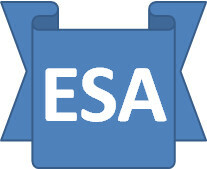 Firstly my client had not been deemed to have limited capability for work related activity under Reg 30 ESA Regs as he merely supplied a GP’s sick note in order to claim ESA.The assessment phase is described in Reg 4(1)&(2) of the ESA Regs. The DWP argued the assessment phase continues indefinately (past 13 weeks) until an ATOS medical is carried out and a decision is made. I argued Reg 4(1) needed to be followed (13 weeks only) as reg. 4(2) was not engaged as my client had not attended an ATOS medical within the 13 weeks and was deemed to have limited capability for work under Reg 30 ESA, therefore 4(2)(a)&(b) were not engaged! The Tribunal found in my favour and instructed the DWP to make the WRAC payment from week 13 onwards even though my client had not attended an ATOS medical. Quite simply the DWP cannot keep clients waiting month after month for an ATOS medical and therefore be financialy penalized through no fault of their own. Obviously we await the posibility that the Sec of State will wish to appeal this decision"
I'm surprised there are no comments on this, It is ground breaking and should be followed closely, after all it's not our fault we wait months and months and months is it? I could not agree more - please broadcast as widely as possible. So, did you get the back pay? Not clear. Just ask because I am in the same situation. My claim started 3rd Jan and I'm still waiting for my WCA. was that the only point of appeal at Tribunal, and what are the reference numbers of this particular case.